MP4 is now the most acceptable and popular video format, compatible with almost all media devices and apps while keeping great balance between video size and quality. 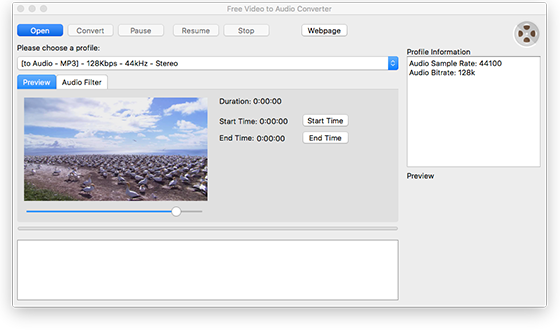 Free Video to Audio Converter for Mac can convert MP4 to widely accepted MP3 audio format for universal audio playback on all music player devices and software. 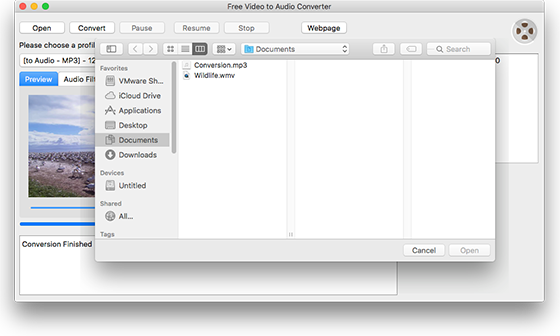 After launching Free Video to Audio Converter for Mac, click “Open” and in the popped up window choose the video file you want to convert to audio and then click “Open”. The video will be loaded in the program window in no time. After that, choose an output format for the converted audio from the bar of “Please choose a profile”. When you are done, just hit “Convert” button to start video to audio conversion process. A few seconds later, click “Open” and you can directly find the converted audio in the source folder with the same name as the original video’s. 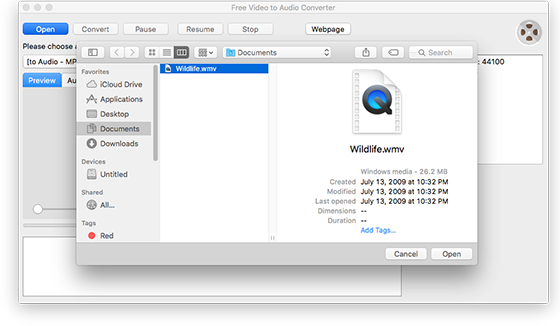 How to Convert Video to Audio on Mac? How to Extract Audio from Video Fast for Free? How to Cut Audio from Video?